On the eve of the centenary year of Ernest Shackleton’s Endurance Expedition the ship which bears his name is playing a crucial role in the 2013/2014 British Antarctic Survey (BAS) field season. 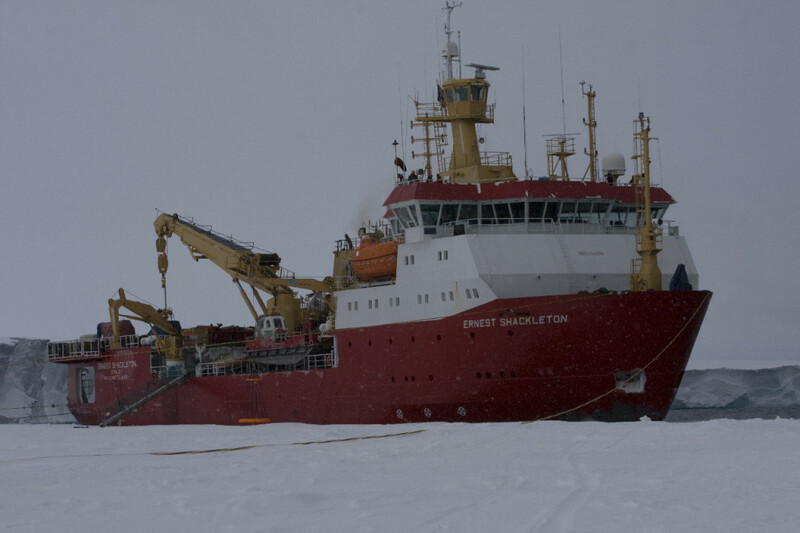 The RRS Ernest Shackleton is one of two ships run by BAS in the Antarctica. It, along with the RRS James Clark Ross, will spend the next few months travelling around the frozen continent both supporting and taking part in science missions. The start of the season is marked by the arrival of dozens of scientists and support staff — together with tonnes of equipment and fresh supplies — at BAS’s five Antarctic Research Stations. 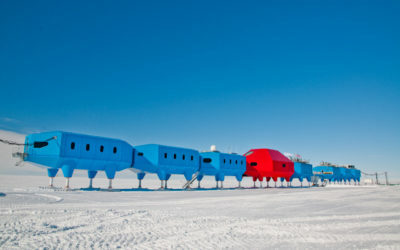 More than twenty ‘deep field’ science teams will live under canvas for weeks or months at a time to collect samples or conduct experiments that will give new insight into the Antarctic environment and try to answer big questions about global issues like climate change. For the first time the effects of changing sea temperatures will be tested underwater as part of an ambitious £500,000, NERC-funded, project at Rothera Research Station. Scientists will place more than 60 heated panels on the sea-bed to see how raising the temperature of a thin layer of water will affect the organisms which grow on the panels. They want to see how small animals on the seabed react to increased temperatures in a bid to better understand how climate change might affect the ecosystem on the seabed. This will be the first time such an experiment has been carried out underwater. The remote Pine Island Glacier is coming under scrutiny like never before as BAS scientists, along with collaborators from several UK universities take part in the iSTAR programme (the Ice Sheet Stability Research Programme) to look at how the glacier, part of the West Antarctic Ice Sheet (WAIS) is changing and how it will contribute to future global sea level rise. Giant tractors and a custom built caboose complete with kitchen, shower and sleeping quarters are travelling 450 km across challenging Antarctic terrain as part of iSTAR. 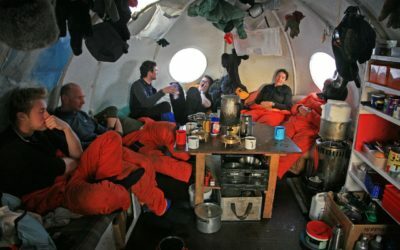 Life for the scientists won’t be that plush though — they will be sleeping in tents as the team will be around 1400 km from BAS’s Rothera Research Station on the Antarctic Peninsula. The four-week traverse, which also involves a ship-borne component to take measurements and deploy moorings at the ice edge, will look more closely at how Pine Island and Thwaites Glaciers are thinning, the processes involved and how they are contributing to global sea level rise. The importance of the glacier has been underlined this year after an iceberg the size of Singapore broke off. BAS has monitoring equipment placed along the glacier and even on the iceberg to keep track of their movements. Another ambitious traverse will take a two man team across the Ronne Ice Shelf in the West Antarctic Ice Sheet to investigate how this area has changed over the last few thousand years. They will be more than a 1000 km from the nearest permanent base and cover 2000 km on skidoos as they traverse across the ice shelf and conduct surveys using ice-penetrating radar. The data they collect will help determine the history of one of the most poorly understood parts of the ice sheet. Sediment at the bottom of lakes could hold the key to westerly wind strength 20,000 years ago in the Southern Hemisphere. A BAS team is already working with Australian and South African logistics teams carrying out coring of lake sediments on Marion Island and Macquarie Island, partway between New Zealand and Antarctica. Conservation biology involving monitoring sea bird and seal populations at Bird Island, Signy and King Edward Point Research Stations will continue to provide data to the Conservation of Antarctic Marine Living Resources (CCAMLR) Ecosystem Monitoring Programme. This long-term monitoring influences conservation policy and management to maintain the current diversity of the Southern Ocean. At Bird Island, scientists will continue to monitor fur seal populations by weighing pups at birth to record and monitor their growth. Also, work on several endangered albatross species will provide information on where the birds go and how to stop their unnecessary slaughter. 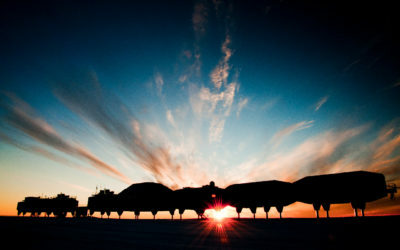 RRS Ernest Shackleton at the Brunt Ice Shelf, Antarctica, for relief of Halley Research Station. For BAS’s two ships, this season will be a busy one. After resupplying BAS’s research stations after the long Antarctic winter, the RRS James Clark Ross will conduct several science cruises, including monitoring population levels of krill — the tiny sea creatures which form a vital part of the Antarctic food-chain. Alongside its hectic resupply duties the RRS Ernest Shackleton will assist in an important addition to the deep field capability of BAS. The ship is helping create a fuel depot on the Ronne Ice Shelf which will specifically support activities in the Weddell Sea area, including transit between Rothera and Halley VI, as well as transport to deep field operations and instruments. In the air the two BAS twin otters and the DASH-7 will continue to support operations and deep field research. The twin otters will also support the US Antarctic programme in maintaining and checking monitoring equipment in remote regions. 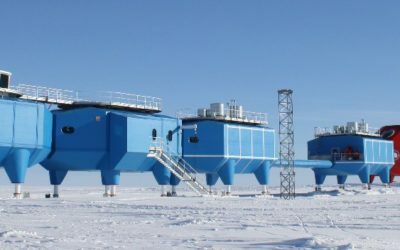 Science teams at Halley VI will continue long-term research into atmospheric sciences in its first full year of operations since being officially opened in March 2013. Studies at Halley are crucial for a global perspective on ozone reduction, atmospheric pollution, sea level rise, climate change and space weather. Universities across the UK are collaborating with BAS this season, from the dozen universities involved in iSTAR to single-institution collaborations like Northumbria University’s involvement with the heated panel project at Rothera. At the international level there are collaborations with institutions in the USA, Australia, Canada, South Africa and Malaysia. The now up-and-running Dutch science facility at Rothera, built in collaboration with the Netherlands Polar Programme, will aid the study of the marine environment as well as meteorology and glaciology on the Antarctic Peninsula. For images and more information contact Paul B Holland, communications manager at the British Antarctic Survey: email [email protected] or call +44(0)1223 221226, +44(0)7771 822229.